Love & War & The Sea In Between is splendid. Josh is running full pace as a songwriter, surpassing prior projects like Jacaranda that were noteworthy themselves. This is an album of highly textured recordings. Though each track is recognizably coloured with his energetic breakbeat style, Garrels’ conquest of genres is remarkable. Masterful interweaving results in a tasty and sometimes surprising euphony. 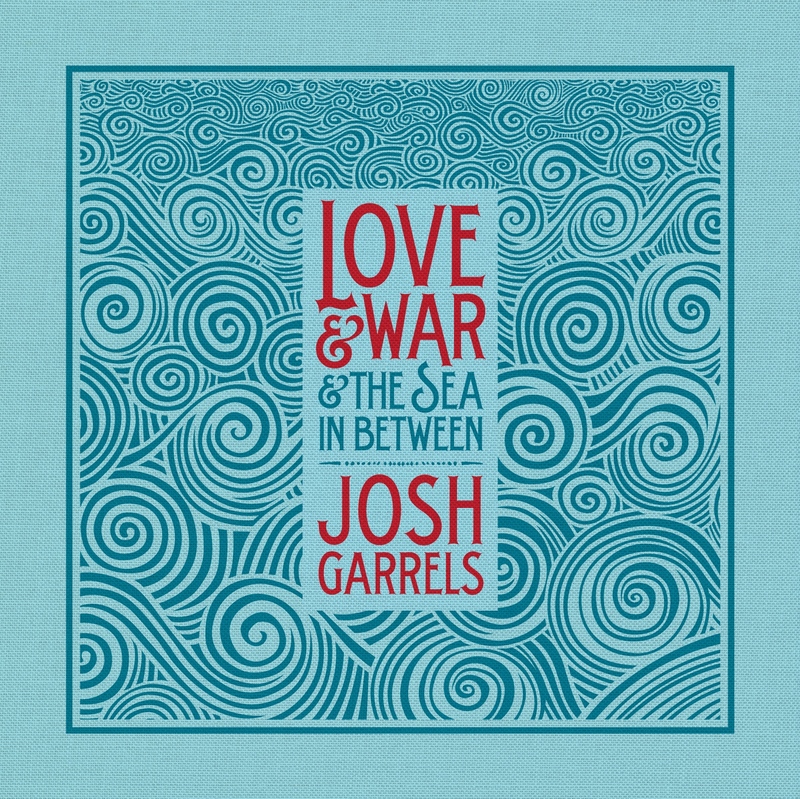 Joining Garrels on several tracks is the Mason Jar Music Orchestra. But God can restrain the madness of a fool? Josh is intentional about using the word “we”. He always uses it when referring to his work, a team effort with his wife Michelle, who worked on the album art and supported him throughout his series of illnesses in the past year (talk about resistance: “Hold fast, like an anchor in the storm”). Like a growing number of family music teams (Gungor, Danielson, and Brian and Jenn Johnson, to name a few), Josh and Michelle’s earnest desire for their art is to pursue the heart and will of God. “Pray for us”, Josh requests of his listeners, so that their work might go into the places where it can bring life. “Like a messenger of peace / the beauty waits to be released / upon the sacred path you came / leading deeper into the unveiling / as you’re sailing across the great divide”. At the core of God’s kingdom is family; it is this which he invites us into. We need models of family like these in our culture, who can pull others into God’s family. Counter-intuitively, projects done for no pay are often those done with the most passion. Just ask Google about the ideas that came from “20% time” projects. True to form, it seems like like Josh has put the most work into this album; at 18 songs, it’s double the number of tracks on a standard LP, all which required polishing, rehearsal, mixing, and mastering. Josh recounts on his blog, “The process of creating this album has by far been the most rigorous mental and spiritual struggle I’ve known as an artist”. In the year ahead, they have bigger plans for this project: among other things you can read about on his blog, Love & War & The Sea In Between will eventually be published in the form of a lovely hardcover book. Individually stamped copies of the CD will be given away at concerts. Being free, there’s no reason not to download this album.